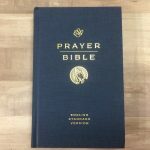 I just received my pre-release review copy of Tyndale’s Inspire Bible: Large Print Edition. 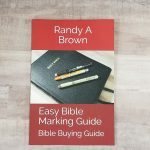 The first creative journaling Bible to be offered in large print it’s noticeably larger than the standard edition with larger text, larger illustrations, and more room for drawing. Some will probably think it’s a little large for carrying though. Other than the cover changing color (a little more blue than aqua) it seems to be the same Bible just bigger. 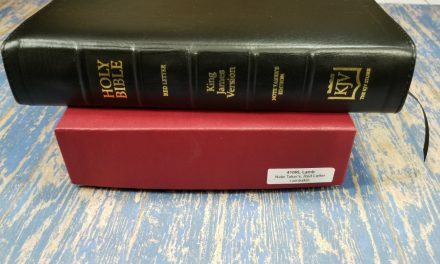 We will have a full review, a various mediums in this Bible post, and maybe even a video review up before it’s September 8th release. 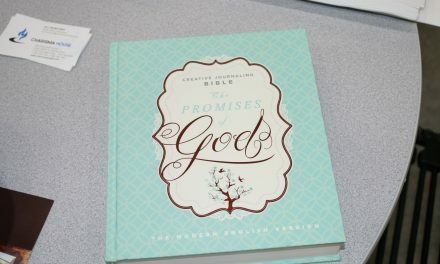 Do you like the idea of a larger creative journaling Bible? Do you think it will be too big? 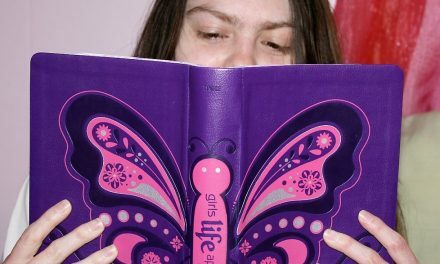 Is there any other journaling Bible you’d like to see in large print? Are there any art mediums you would like me to use in this Bible? let us know in the comments. I don’t know of any plans to make an illustrated Bible using the amplified version. 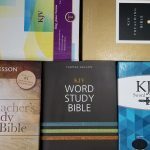 One main reason for this may be that the amplified text already takes more room then the text of some other translations and they are not sure how many people would want the larger Bible they would need to make. If the illustrated journaling Bibles continue to do well (and I’m sure they will) there may be one in the future. Meanwhile if you really want an illustrated Bible to draw in you could do like a lot of art journalers do (including me) and have one Bible for study and another for artwork. Illustrated Bibles are available in KJV, NLT, HCSB, NIV, and an MEV coming later this month.